We did an overnight motor from Tavanipupu. After waiting almost 2 weeks for the wind it still didn’t arrive and we were really short of everything so we had to leave. On our last but one day another boat arrived. After seeing only one other boat in the whole of September I was like Robinson Crusoe running round the deck calling ‘There’s a boat coming, there’s a boat coming’. 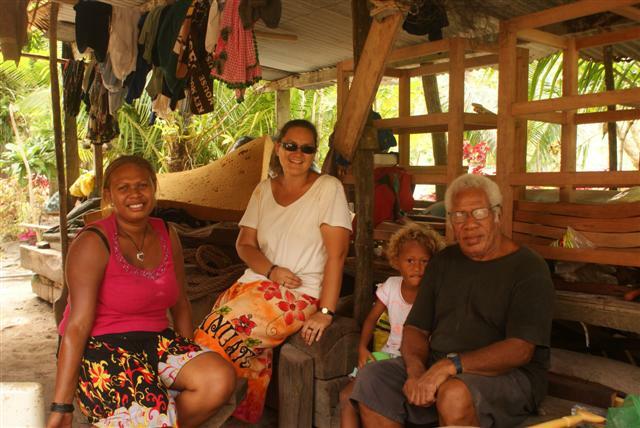 They had come from Fiji and were on their way to the Philippines and stopped for a few days on a ‘yellow flag’ stopover but I still managed to extract their life story out of them! 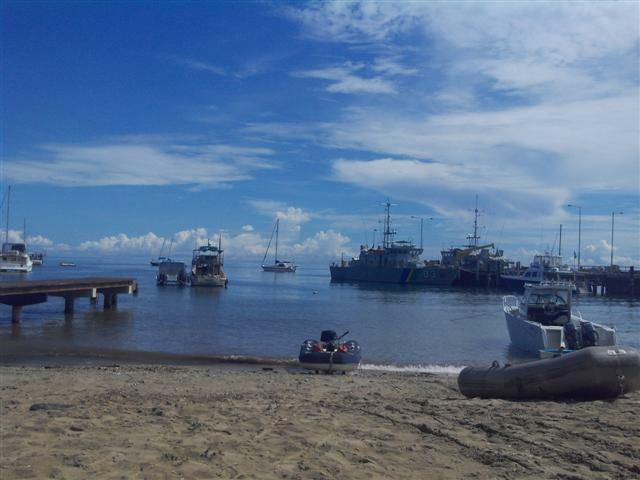 We arrived in Honiara at first light and found to our surprise 4 other cruising boats there, one of them a catamaran from Jersey who were equally excited to see another British boat. There was a second catamaran, an Aussie boat that had seen better days and Tomboy, an American boat who we had heard on the Namba net several times. Tomboy were just heading out to Rodderick bay so we agreed to see them in a few days. 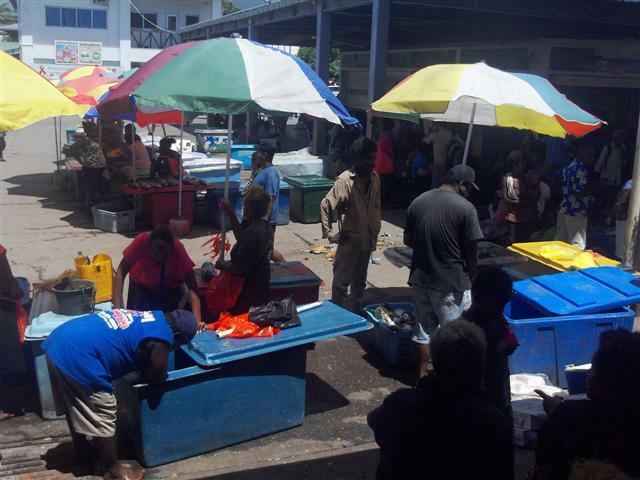 Our expectations of Honiara were low and they weren’t exceeded. We spent 2 days in and around the city but found it noisy, dirty and the rough sidewalks (you couldn’t call them pavements) covered in red betel nut spit. We traveled in little ‘jump on jump off’ minibuses for about 30p a ride, not one of them, without exception, would pass an MOT but the taxis didn’t look any better and were much more expensive. 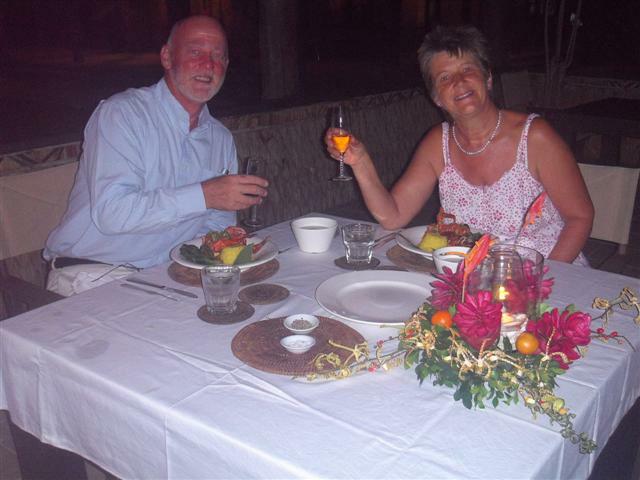 We had to pay our harbour dues to the customs and our immigration fee which amounted to about US$200! These third world countries are becoming aware that there are more and more yachts sailing around the world these days and they are cashing in on it. You can’t blame them; I wouldn’t mind paying it if it was getting to the people who need it but it isn’t. We managed to find a ‘supermarket’ which had most of the things we needed but Bill saw a huge cockroach walking across the floor and some of the pasta had weevils inside the packets, what I wouldn’t give for a Sainsburys! The market, as always, was good, full of friendly smiling people chatting and calling to each other while selling home grown produce really cheaply. None of it would get past the ‘Tesco straight banana’ brigade but the odd shapes taste the same. The eggs are delicious, completely free range with bright orange yolks, no wishy washy battery eggs here. Bill made several trips to the fuel station with the jerry cans for diesel and petrol, he had our gas canister refilled and he even found a tube of mastic in a big hardware store. We found an internet cafe but were only able to check our emails, I’m sorry but no chance of downloading any pictures until we get to OZ. We discovered a little oasis called the Lime lounge (bright green, easy to find) which was run by an Aussie and sold western food and fattening cakes with really good coffee but best of all, it was air conditioned. It was quite expensive but full of white people so we joined them. We were told about a good wine shop which was also air conditioned so we took a while choosing some wine to replenish our stocks, and a butchers called Meatlovers which had good quality meat served in a clean environment, difficult to find here. We spent as little time as possible on shore because there were lots of strange looking people hanging around street corners, I think they were harmless but wouldn’t want to meet one of them in a dark alley. We left the dinghy in the safety of the Point Cruz yacht club, another little oasis that had the BBC world news beamed in on a satellite TV along with cold beer, they knew what yachties liked. 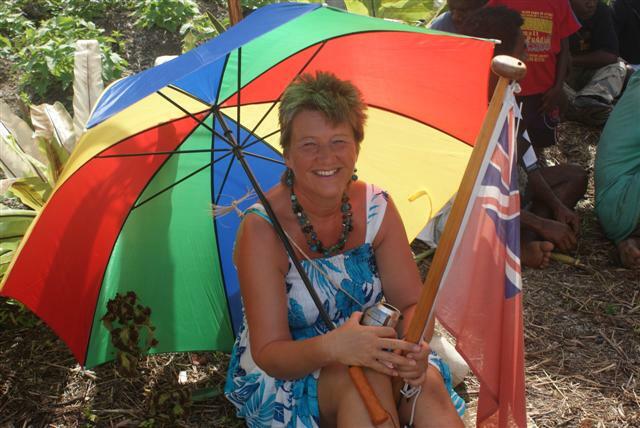 Waiting for William and Kate to arrive, it was very hot. 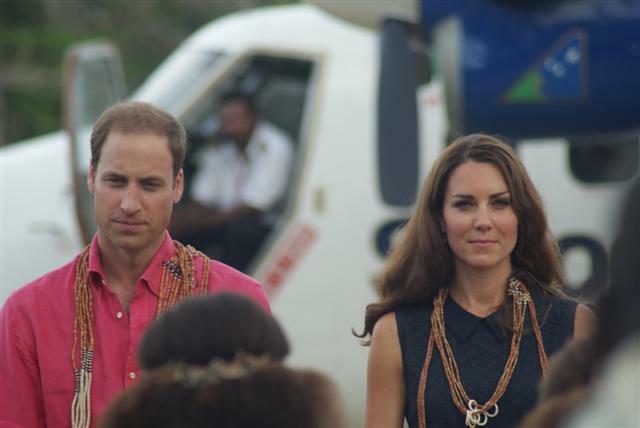 Great excitment here, we’ve just a royal visit from Prince William and Kate. On Monday at 4pm local time we joined a very excited group of locals at the little airfield to watch them arrive being the only white faces on the plebs side. While we were waiting we were interviewed by the Daily Telegraph. The first to arrive were 2 helicopters with special forces in them (we’ve had more police launches than we’ve ever seen in the islands buzzing around for the last couple of days) and a little plane with a few journalists and members of their staff. 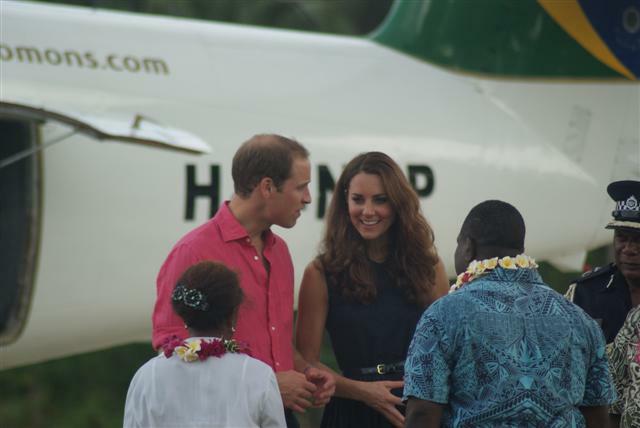 Half an hour later a little plane with the Royal couple in arrived. We were all kept behind a fence although it was only waist height and only about 4 or 5 metres away from them. A conch shell was blown as they arrived which is the tradition warning signal that there could be ‘enemies’ approaching. Some local men dressed as warriors or shall we say not wearing very much, performed a little war dance because the Prince could have come ‘in anger’. Once it was established that he was a ‘friend’ he was bestowed with gifts and traditional shell money. 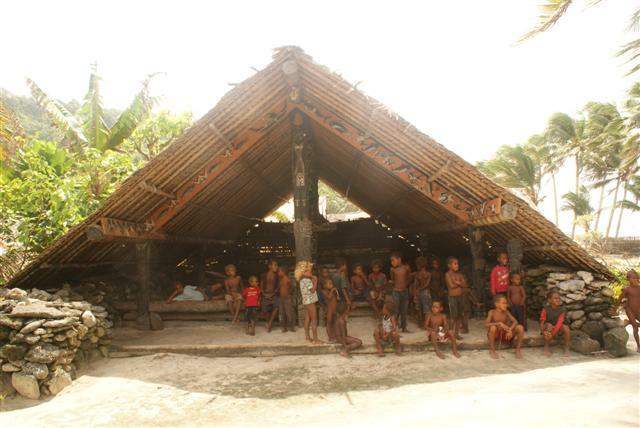 The local school children sang a beautiful rendition of God Save the Queen in English and in Bislama, their language. 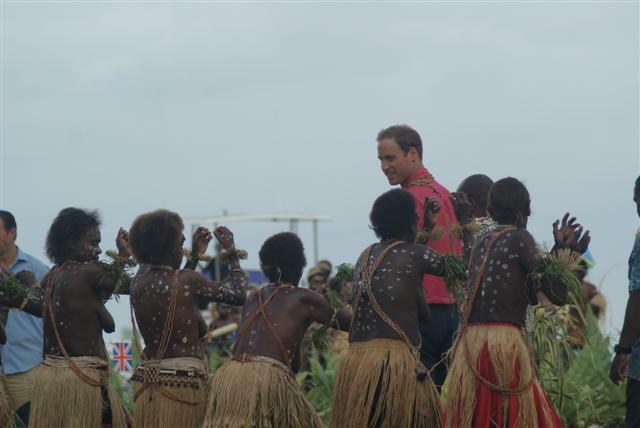 William and Kate were walked down the airfield on a coconut mat, not red carpet as the locals wanted to point out, and onto a waiting motor boat to take them to the island. As they walked down the mat I called to William and waved our boat ensign and said we were English and he smiled and waved back. 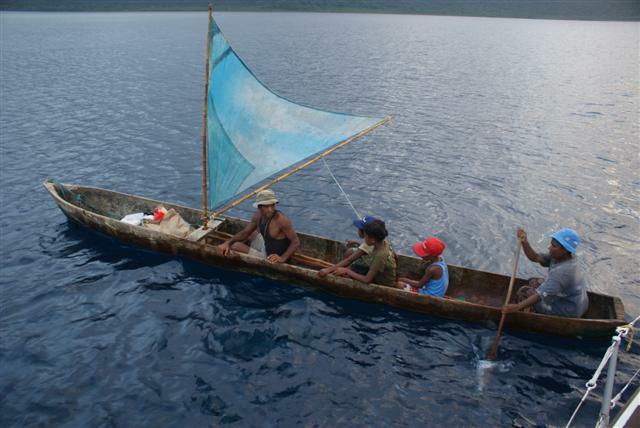 We joined a flotilla of local launches for the twenty minute trip across the lagoon to the island of Marapa. We had been told we could put the dinghy by the village but on the day there were lots of police in launches keeping the area free. 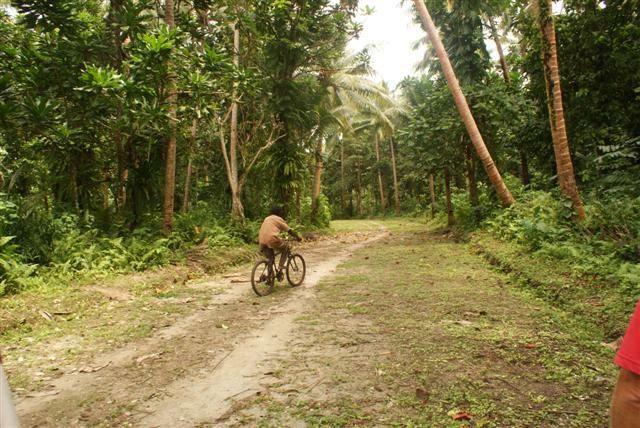 We all put dinghies, motor boats and canoes around the corner and ran through the jungle path to the village. A corral had been built again at waist height where there were lots of things going on for them to look at. 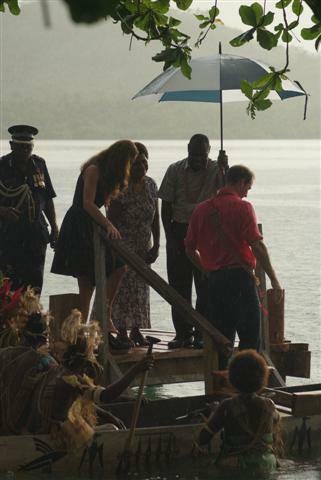 William had a go at getting a fire going and Kate tried her hand at the basket weaving. Again everyone within the corral was dressed in traditional dress which didn’t to amount to very much for the men. After about half an hour of chatting to the locals the children sang a beautiful farewell song while the older women were in the water performing water music with their hands (very clever). Kate slipped her shoes off to get into the war canoe. 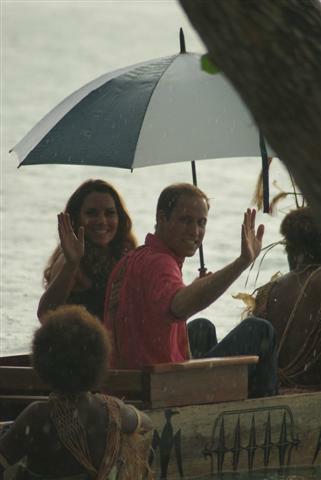 William and Kate got onto a beautifully carved war canoe with some local warriors who paddled them across about 100 metres to the island of Tavanipupu to the posh resort where they stayed the night. 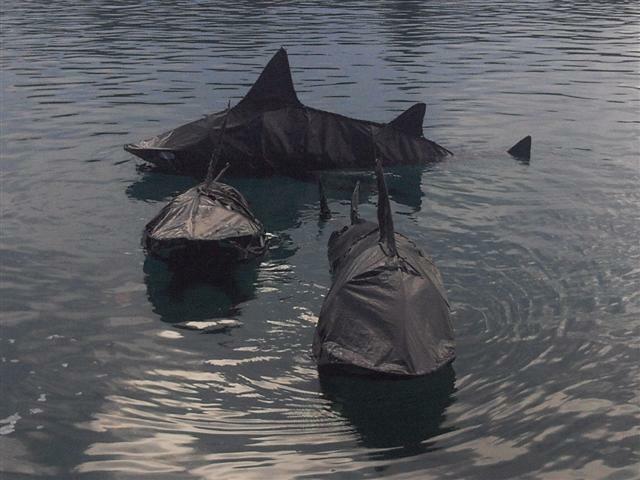 The locals had made ‘sharks’ to float in the water alongside them. When we went back to the dinghy it was blocked in by local canoes. This must be the equivalent to having your car blocked in after a gig! The next morning we tried to anchor Camomile near the airfield to wave goodbye but we were turned away so we dressed the boat overall and hovered on their course and as they came past in the motor launch we waved again. So fairly exciting although didn’t get to actually shake their hands because they were kept in a ‘bubble’ while they were here but Kate looked very well and pretty. Now we are anchored next to the same island they stayed on and as they opened up the resort again the next day we went to see where they stayed and treated ourselves to a belated Anniversary meal there. I had a lovely chat with the American owner and she said they looked so happy and in love and she still can’t believe they choose to stay on her island. We think she’s now sitting on a goldmine once word gets out in the celebrity world. 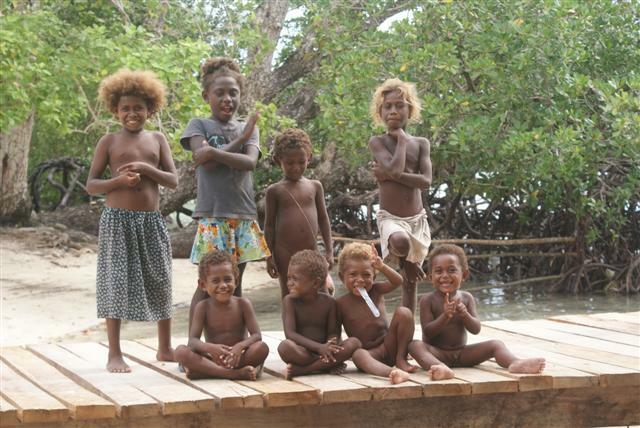 It’s an amazing location, we have the village on our starboard side where they still live as they have done for thousands of years very happily, with the children playing carefree in the water all day, and on our port side is the resort where for the price the guests pay for just ONE night it would educate ALL the children in the village for a whole year, it’s a strange world we live in. 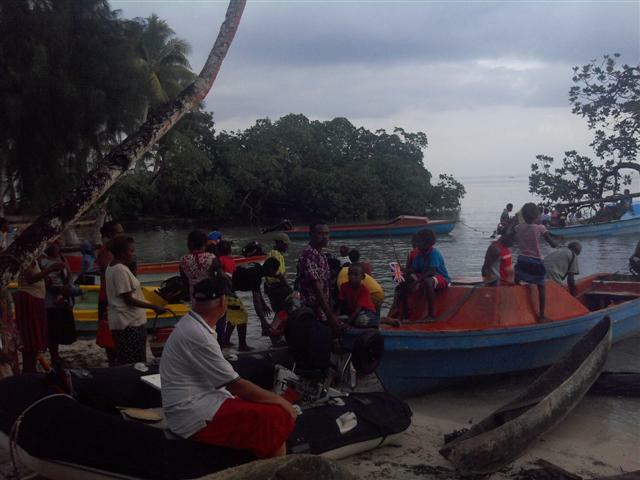 Our arrival in the remote Santa Cruz group in the Solomons was on the back of a deep trough that had treated us to strong gusty squalls and kicked up a nasty short sea well beyond what could be expected from the wind strength. But the sky was the most dramatic thing I have ever seen, clouds of every size, type and colour paraded across the brightest blue backdrop; an effect of the South Pacific Convergence Zone that we had entered. 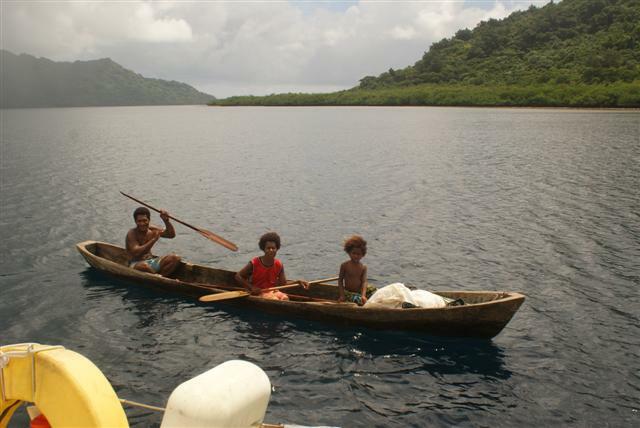 After the choppy sea we were relieved to motor gently into the lee of Vanikoro island’s deep and sheltered anchorage. 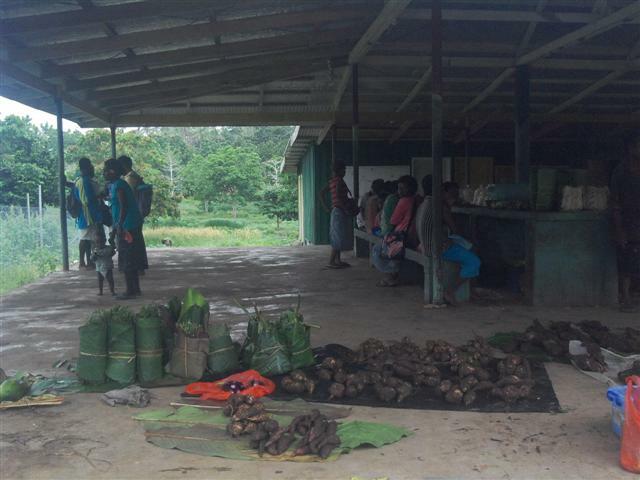 Our arrival seemed to be the signal for dugouts from miles around to come and introduce themselves and find out what we had on board to trade for their local produce. 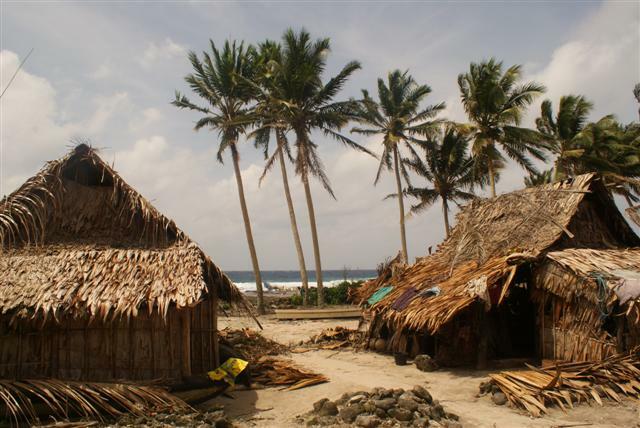 The dugouts here differ from the Polynesian outrigger style by being beamy enough to sit inside, being equipped with crude downwind sails similar to the Egyptian felucca and a pole for punting through shallow reefs. 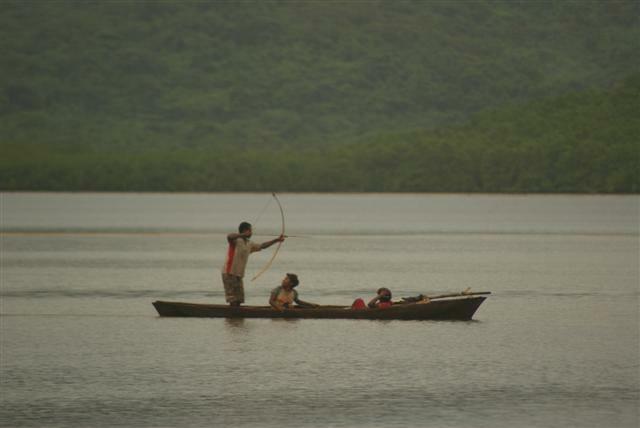 They are also monohull making them less stable but this didn’t stop them from standing up to fish with bows and arrows. Although we were unsettled by all the warnings we had received about being here, the only disturbing thing we had found so far were the blood red toothy smiles from those addicted to the locally grown narcotic betelnut. This is chewed after lime is taken for a more intense “hit”. It leaves stained and damaged teeth not to mention its more sinister carcinogenic effects. 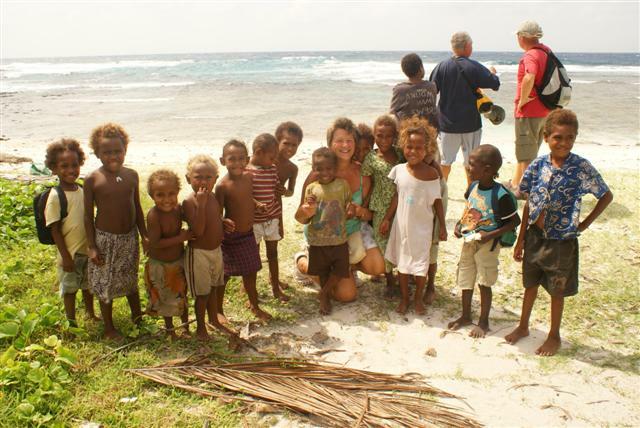 The people though were lovely and traded fresh produce like eggs, beans and tropical fruit for the clothes, writing materials and other paraphernalia we had brought for this purpose. Some requests we could not help with; we had to explain that it was not normal for a yacht to keep roofing nails suitable for their church on board. Even when a large boat full of fierce looking men turned up wanting to know if we could help to fix their SSB set (no mobile phones here yet) they were polite and did not make us feel uncomfortable. I even gave away my last tube of Araldite epoxy glue to the local chief, he was over the moon with it! Onwards to Ndendo where we anchored up in Graciosa Bay to check in at the town of Late, an unremarkable collection of ramshackle buildings with some shops but where the bank was unable to change any money. 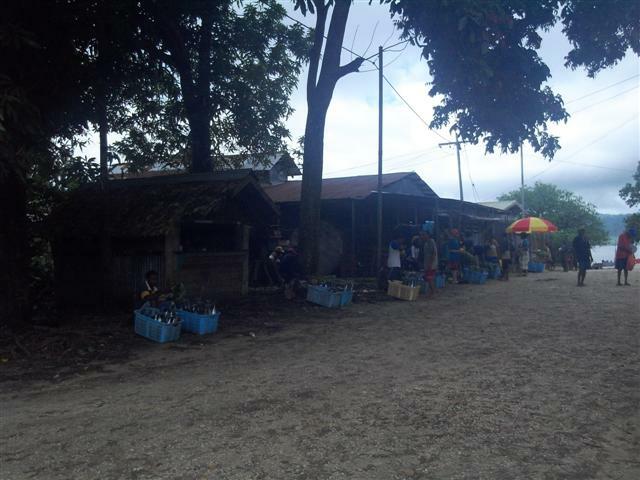 Sue managed to persuade a local shopkeeper to exchange a few American dollars for some Solomon dollars. We stayed five days before continuing on to the next island. After a 40 hour passage we arrived in Santa Ana in a deluge of rain but were delighted to see another yacht in the anchorage skippered by Feri, a Swiss Turk, travelling the “wrong way” from the Med with his crew Deniz. The next couple of days the rain shrieked down on us filling our water tanks to the brim. 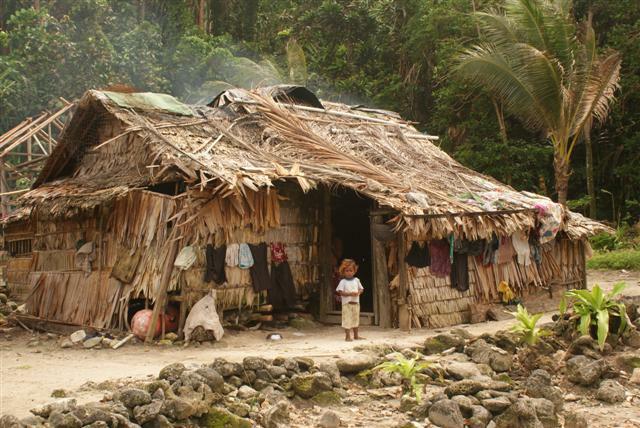 When it finally got dry long enough to go ashore we met Chief John who welcomed us to his village. 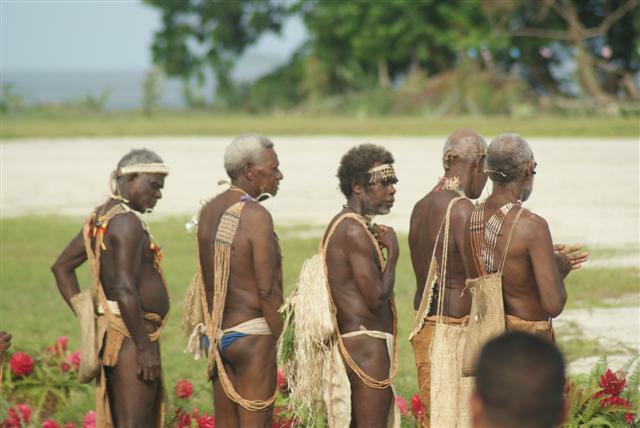 We mounted an expedition to the other side of the island together with the Turkish contingent to inspect a “custom house”, where the bones of past chiefs were interred, and to a lake in the centre of the island which was responsible for their reliable water table supply. 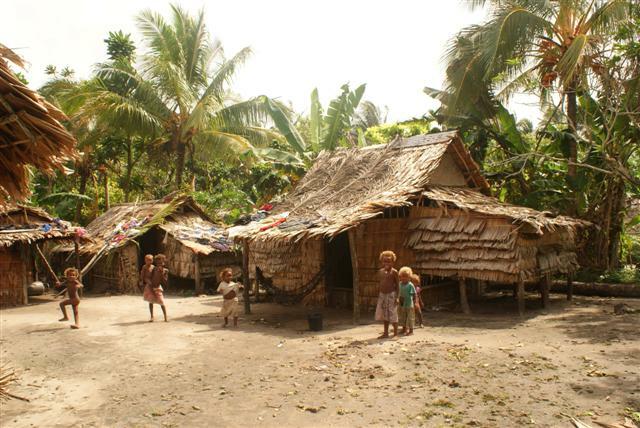 The village was very tidy and there seemed to be children everywhere but their houses were made from all local materials with wonderful views through to the ocean. We met Karen the missionary who was teaching the local people how to write down their local language then teach it to others. We moved on with trepidation when a fair wind arrived. 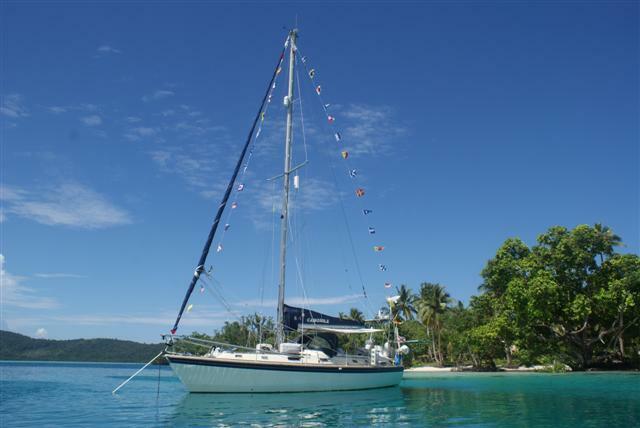 The brisk wind 25 knots from square astern and with the twizzle poles on our double 135% genoas drove us along all day towards the eastern end of Guadalcanal Island where we arrived shortly before 18:30 which is “lights out” around here. We anchored up alone again in a quiet bay but the holding was good first time, it was flat calm and we were both tired from an exhilarating day sail. Waking in this jungle anchorage was a joyful experience and it wasn’t long before the local characters started to make themselves known. 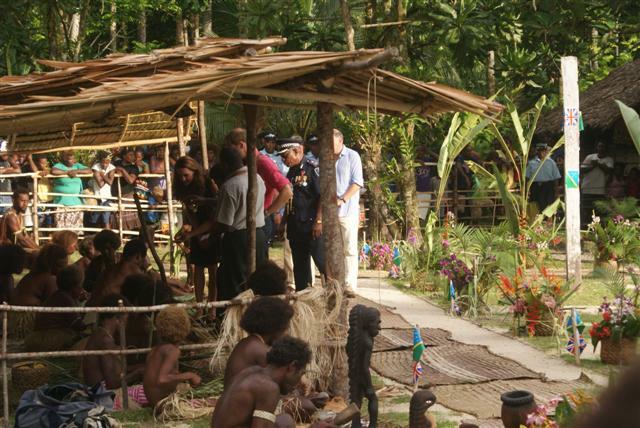 The canoes started coming out to the boat again but this time with stories of Prince William and Kate coming to the Solomons. We thought we had missed them but it turned out they were arriving in a couple of days time. 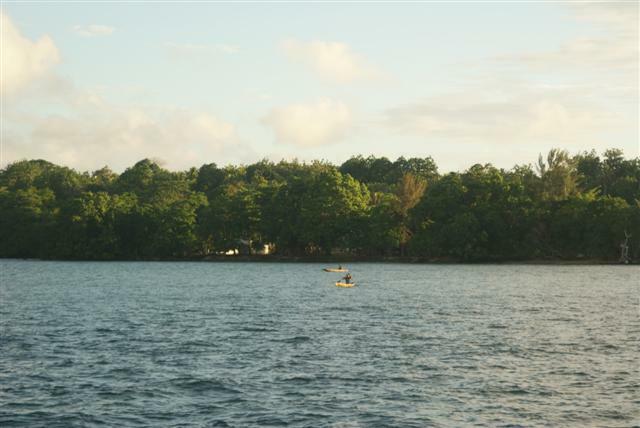 Lata, Ndendo island, the eastern most Solomon island to check in.